Have you bought a beast smartphone (High-end device) and want to test out its limit? Modern generation games can help you in testing your device’s maximum performance or power. Today, here in this article I’m going to share the most CPU intensive games 2018 that can push your device to its limits. Well, I’m not going to focus on any particular platform and end up writing mentioning games for that platform only. This article is almost like a round up of games for PC, Android, and iOS. One thing I would like to assure you that all the games are known as the most CPU Intensive Games 2018. I believe the games listed in this article can push your device (PC or a Smartphone) to its maximum level. It does not mean that you shouldn’t play such games. You may play such games on a better-configured PC or a Smartphone. That tells you the capability of your Smartphone and of course, a PC. In fact, you can play these games on latest CPUs that do not have GPUs. I know you are not here to waste your time, Just jump into the topic right away. Check out the Best Android Games without Wifi if you are interested. 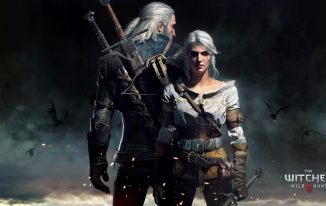 The Witcher 3 was released in the year of 2015. Still, it is one of the most graphically demanding games in the market. It’s a role-playing game developed by CD Project Red. The game has received a lot of awards for its storyline, environment detailing, graphics etc. This is one hell of the game that everyone should try playing at ultra high graphics settings. The Witcher 3’s Ultra graphics can really help you in unleashing the true power of your rig. The game has the only campaign mode, but it’s more than enough to satisfy you for the amount you’ve spent on it. The single-player mode alone takes over 200 hours to complete with all the objectives and side missions. Dying Light is another great title in the game industry that requires loads of GPU power to run smoothly. The game (Dying Light) is an open world survival shooting game filled with horror and adventure. It gets pretty dark and sensational when you play it in 4K with ultra high graphics settings. The game punishes your system’s CPU and GPU to its core. Dying Light is definitely worth trying out if you love zombie shooting games. The depth of field, environmental elements, real-time effects are just phenomenal in this graphically demanding game. If you are a big fan of FPS games, then this game may impress you. DOOM is a monster shooting game that was released in 2016. The game’s engine really helps the game to look graphically demanding and improves the gameplay on PC. In Ultra mode, the game can really melt down your rig’s components. The game has managed to gain popularity in the market with its extreme graphics and fun to play aspect. You can get this game for as low as Rs 2,000 from Steam for your PC. Don’t hesitate to try out this beast game if you have a powerful gaming rig. The game looks incredibly gorgeous in 4k and delivers a lot of fun in multiplayer action. 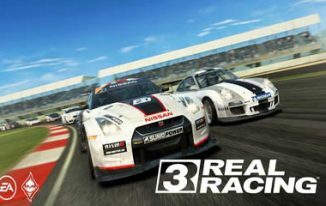 Real Racing 3 is one hell of a CPU intensive game that falls under the racing genre. You can download it from Google Play Store for free of cost. The game is developed by Firemonkeys Studios and published by Electronic Arts. It’s a track racing that differentiates it with other racing titles like asphalt. The game looks really beautiful and realistic on high-end flagship devices like One Plus 5, Samsung Galaxy series etc. Make sure your device has the capability to run this game at high settings, else the result may be dangerous. Dead Trigger 2 is a zombie first person shooting game for Android devices. It’s available for in Google Play Store. Dead Trigger 2 was developed by Madfinger games, the graphics of this game are just mouth watering. The real-time water reflections, effects, dynamic vegetation and enhanced colours will blow the heck of your device. 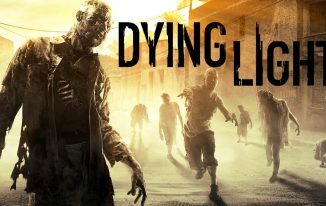 Explore the deadly zones and places in the game, emerge into the dark storyline of rescuing the world from ruthless bloodsucking zombies. Almost all the aspects of Dead Trigger 2 are more than perfect, you will have a blast playing this game. If you are a fan of open world games like GTA, then Gangstar Vegas can really impress you. The shining graphics, polished surroundings, enhanced looks are pretty many highlights of this game. It’s an open world mafia game where you take on several missions, make your way through the challenging quests to reach the top of the leaderboards. You should definitely consider playing this game if you have a high-end smartphone. Millions of people play this game all over the world and have received a lot of positive ratings on Google Play. 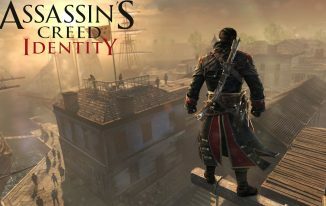 Assassin’s Creed is another open world game, made by Ubisoft. 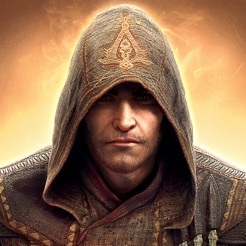 The Assassin Creed franchise is one of the most popular titles on PC and consoles. The company decided to make it available on smartphones as well. Moreover, the game is set in Florence and Rome, it looks pretty dope on iOS devices. This could make your iPhone a grill after playing the game. Apart from that graphics, the storyline and character customization is another highlight of this amazing game. 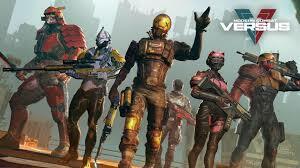 Modern Combat is one of the popular franchise on mobiles. The game falls under First person shooting genre. It’s the best shooting game as far as we believe, the graphics are just mind-blowing. On ultra settings, it’s almost impossible to say whether it’s a PC game or mobile game. Gameloft has done some serious work on the graphics part. The game can seriously heat your device pretty fast, don’t dare to push the game to its limits. The game is still in soft launch, so it may not work properly on some devices. You can try out this game if you want to experience one of the most CPU intensive games. Well, the game is quite old comparing to other games mentioned out there. However, the graphics of this game puts today’s games to shame. NFS Most wanted features almost the racing cars of the world and provides extreme customization for your satisfaction. It’s not a free game anymore, you need to purchase the game from App store to experience the real driving. As far as the reviews go, the game is worth buying, it truly lives up to the expectations of the gamer. It’s one of the most CPU intensive games out there. That’s the list of Best Most CPU Intensive Games for your PC, Android and iOS devices. You may start playing them on your device without any delay. Moreover, You can suggest us if you know any other game of this category. We will add that to the list if you can comment it down there. Thank you so much for reading this post.